And you’re done. The referee has the official teamsheet and Dave Mac is all ready to announce it to Westfield. Once they cross that white line there’s only so much you can do.Cheers, gaffer! 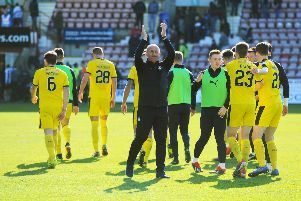 We’ll run similar surveys throughout the season and collate the results and look back at the end of season 2017-18.
Who knows maybe your team line-up could give the current Bairns boss some food for thought?